This is it! 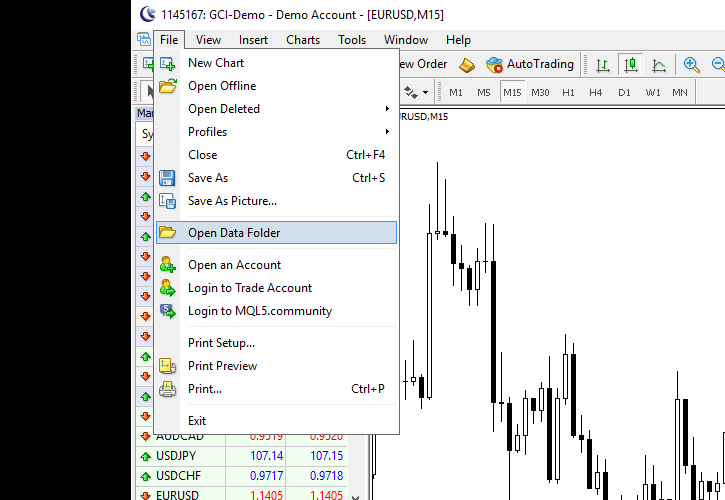 There is nothing difficult or time-consuming in moving your settings to another MetaTrader installation. Update 2014-02-06: Updated directory information relevant for MT4 Build 600 and MT5 versions. Update 2016-05-13: Reworked the tutorial, making it more detailed and helpful by adding more images. 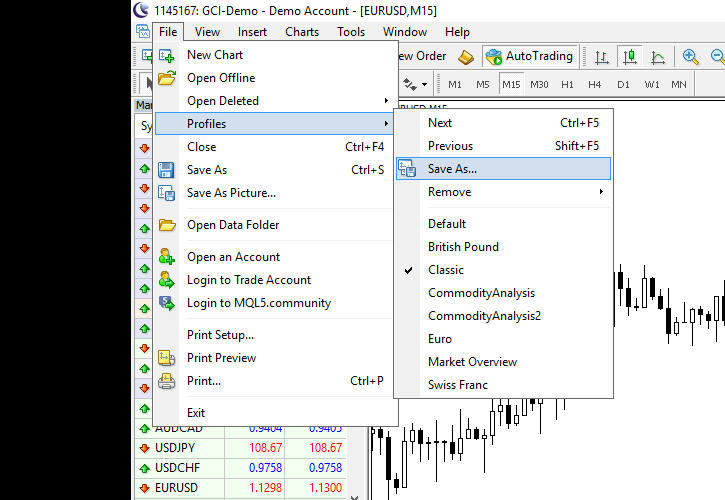 If you have any questions or comments regarding the process of moving the chart settings in MetaTrader, please feel free to share them using the commentary form below. Thanks for the useful tip, I think many people can use this. It is always a pain to setup all of the charts when you change brokers and have to reinstall MT4. 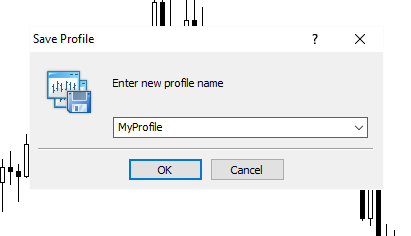 I don’t see my profile under the MT4 profile directory? can you please advise. 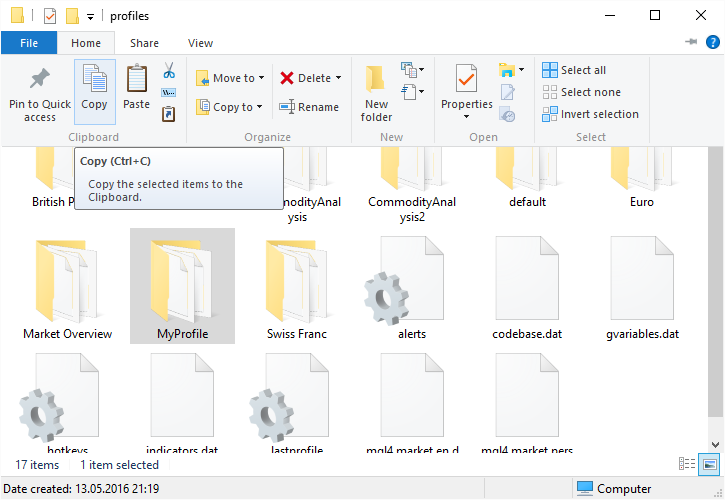 I want to copy the profiles from my usual to a new MT4 account but although thet are all listed in the existing MT4 platform they are not shown in the “Profiles” folder. The files must exist somewhere, but I can’t find them. Any suggestions? 1. 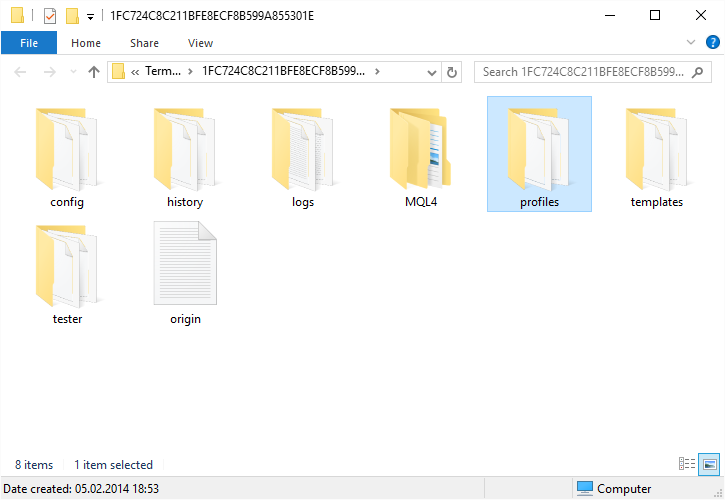 There should be profile folders, not files, inside the “profiles” folder of your MT4. 2. 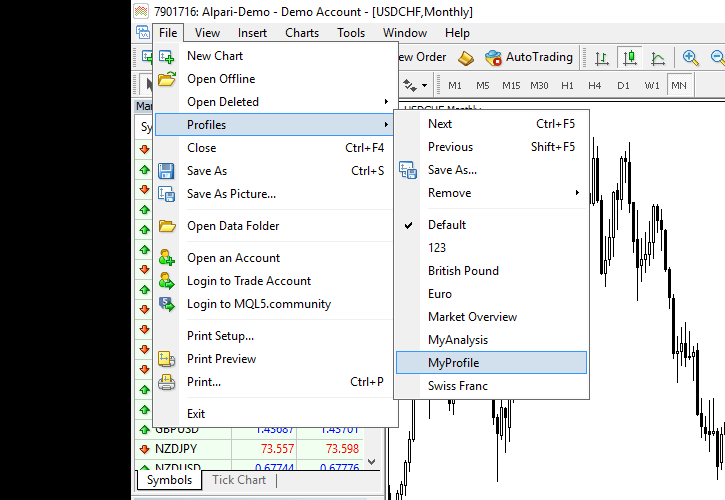 Are you sure that you look in the “profiles” folder of your old MT4 installation, which already has some profiles? If you have several installations of MT4 it’s quite easy to confuse them. Wow! I didn’t know that Vista could mess with user’s files to such extent. Thanks for telling us that you’ve finally managed to find the profiles. Tha annoying thing is that these ‘virtual’ files are invisible in the search procedure! Thank you so much, been searching for those files forever!!! No problem. I’m glad to be helpful to fellow traders. any idea where the files are stored on windows 7? i can’t find them anywhere. For Windows 7, which has different levels of security and users (Administrator, John (or your name), etc., the problem is that if you don’t open your MT4 platform as Administrator (right click, select ‘run as administrator’, everything that personilizes your setups is stored somewhere under your user name which isn’t obvious to find. Mine was under john\AppData\Local\VirtualStore\Program Files(x86)\yourForexBrokerRootFolder (FXCM, eToro, etc). The way I did it was to copy my “yourForexBrokerRootFolder” from c:\Program Files (x86) to the next computer, then take the files from the folders in VirtualStore above and copy them into their respective c:\Program Files (x86)\yourForexBrokerRootFolder folders, one folder at a time, each file under each folder, replacing files already there if it seemed logical. I then started my MT4 on the next computer as Administrator, chose the Profile that I was using on the original computer, and everything worked on the next computer as it did on the original computer. This has been bugging me for quite a while, and I’ve never found an explanation that was as ‘plug and play’ as I described above. Thanks for sharing! Yes, on Windows 7, personal files are stored quite differently. 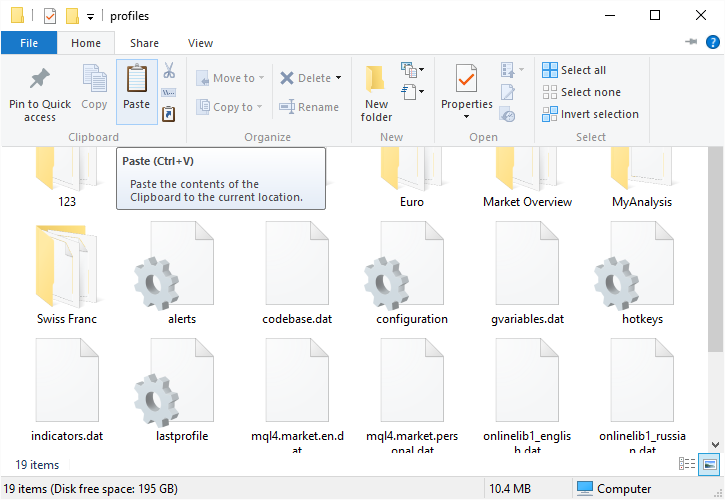 7. in the virtualstore folder is the programfiles folder and BINGO….all the mt4 folders! 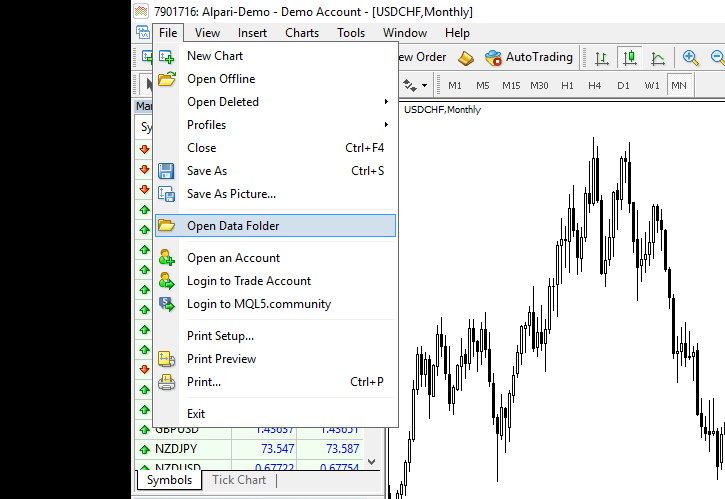 I have charts with EAs on them on one MT4, which I save in my Profiles folder. If I copy and paste this folder into another MT4 and load that profile, I get all the charts, but none of the charts has the EA on it. Quite a hassle putting EAs onto 32 charts! Any ideas please why the EAs are not being copied with the profile? Are you sure that those EAs are present within another MT4? You can also try using templates instead. Thanks for your reply. I found the answer was to run both platforms (certainly the target MT4) in ‘administrator’ mode. Then all the EAs came with the profile. Isn’t W7 great! !